Country lovers get ready for the show of a lifetime!! Jason Aldean is on tour once again, promoting his brand new upcoming album “Rearview Town”!! Joining him on the 34-date trek are Luke Combs and Lauren Alaina!! Coming to the DTE Energy Music Theatre on Friday 14th September 2018 – don’t miss out!! 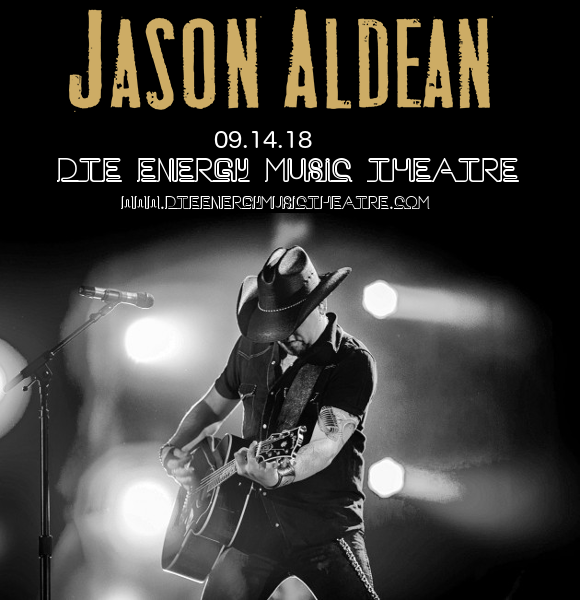 Grab your tickets and your cowboy hats and get ready for a party at the DTE Energy Music Theatre!! Get ready to experience it all live – grab your tickets to see Jason Aldean and Lauren Alaina live NOW while they last!